The three-decade international moratorium on commercial whaling isn't working. Animal-rights activists insist the ban remain absolute, while the three rogue nations still pursuing the world's largest mammals refuse to quit hunting. Leah Gerber, a marine conservation biologist, professor at Arizona State University's School of Life Sciences and founding director of ASU's Center for Biodiversity Outcomes, floated the idea of a compromise in the September issue of scientific journal Frontiers in Ecology and the Environment. Rebounding whale populations, the predominance of other threats, and stubborn stakeholders make the moratorium a "failed management system," Gerber said. The past 30 years of the International Whaling Commission's conversation has been stalled by disagreement on the ethics of killing whales. "It really boils down to an ethical argument: that it's not right to kill a whale," Gerber said. "Personally I don't like the idea of killing a whale, but that's my value, and other people have other values. Insisting on our values in discussions about whaling has resulted in a global stalemate." Changing course and allowing Iceland, Japan and Norway to legally hunt under regulations and monitoring might break the current stalemate. Currently Japan whales under a loophole allowing for scientific research. The other two countries hunt whales commercially in protest of the ban. "If our common goal is a healthy and sustainable population of whales, let's find a way to develop strategies that achieve that," Gerber said. "That may involve agreeing to a small level of take. That would certainly be a reduced take to what's happening now." 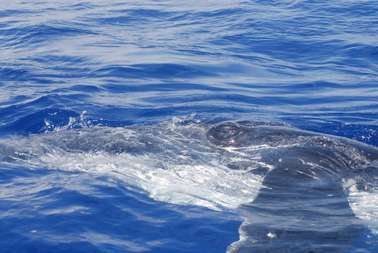 Since the moratorium was declared in 1982 and begun in 1985, whale populations have rebounded across the board, Gerber said. "Overall the whaling that's happening is not threatening any population," she said. "With the exception of the J stock (a population that lives in the East China Sea, the Sea of Japan and the Yellow Sea) of minke whales, current levels of take are fairly sustainable." The appetite for whale meat has been on the decline in Japan. An April 2014 poll by Asahi Shimbun, Japan's newspaper of record, revealed that 14 percent of respondents occasionally or rarely ate whale meat. (Thirty-seven percent said they never ate it.) Consumption in Japan peaked in the 1960s and has steadily decreased; today, whale-meat consumption is about 1 percent of its peak, according to the International Fund for Animal Welfare. The Japanese have argued that it's part of their cultural heritage. They also call American protests hypocritical because Alaskan Inuit tribe members hunt whales every year. The 2015 catch netted about 700 tons of whale meat, while the Norwegian market won't bear much more than 500 tons. "Good catch is all very well, but we have challenges in the market," Åge Eriksen, CEO of a seafood supply company, told Norwegian public broadcaster NRK last year. "We've got more meat on land than we can sell, and it is not a desirable situation." Minke whales in the Southern Hemisphere have such a large population that taking a few wouldn't be a big deal, Gerber said. The media perception of whaling is often that it's evil, but there are worse threats to the whales' livelihoods, Gerber said. For instance, she said that whale mortality numbers are also driven by the mammals being hit by ships. For instance, blue whales off the coast of Long Beach, California, simply didn't know to get out of the way of ships, according to a Stanford University study released in April. Because they are the biggest creatures in the sea, they've never had to avoid threats. Bycatch entanglement, where whales are snagged in nets, and contaminants in seawater are two other serious threats. "For most populations, whaling actually makes up a pretty small fraction (of whale deaths)," she said, pointing out that International Whaling Commission members know this. "We don't have to agree on everything, but let's take some baby steps." Violent action by animal-rights groups has not had an effect, either. "A lot of the (non-governmental organizations) like Greenpeace and Sea Shepherd raise a lot of money in advocating for saving whales by chasing whaling vessels in the open ocean," Gerber said. "What success has that had?" Japanese whaling delegates have said they're open to compromise arrangements, Gerber said. "The animal-rights groups, on the other hand, are like, 'Nope. My deal or nothing.' To me, it's not the best way to lead to change." I'm a contradiction, maybe even a hypocrite. I don't like to hunt or kill, but I'm never going to become a vegetarian. I'm perfectly happy letting others do my dirty work. However I do feel it needs to be done humanely and for survival. I don't support sport hunting/fishing. Although I don't feel hate for those who do enjoy the sport of it. Whaling is unnecessary, but so are lamb chops. Let them hunt to a set limit of a healthy species of whales.